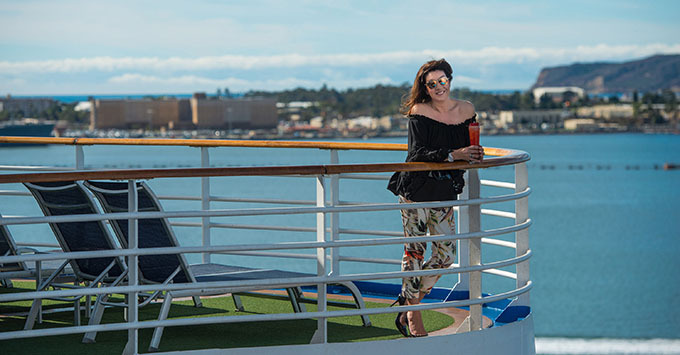 (3:15 p.m. EDT) -- The third series of "Cruising with Jane McDonald", which aired last month, was the most successful series yet for Channel 5. The four-episode show averaged 2.2 million viewers and took a 9.4 per cent share of the total UK viewing audience during its four-week run. The first series averaged 2 million viewers per episode and gained 8.4 per cent of the total UK viewing audience. In series three, Jane tried out four different types of cruises to four different destinations: California, Iceland, the Mekong and the Mississipi. She sailed onboard Ruby Princess, Iceland ProCruises' Ocean Diamond, AMAWaterways' AmaDara and American Queen Steamboat Company's American Queen on her travels. As well as a significant ratings boost for Channel 5, all the cruise lines saw a jump in both enquiries and bookings. AmaWaterways reported unprecedented demand for voyages on the Mekong following the show. Jamie Loizou, sales and marketing director at AmaWaterways, said the company had received a record number of phone calls, brochure requests and bookings over the weekend. Iceland ProTravel's PR & marketing manager said: "We saw a large increase in bookings and a huge number of brochure requests, as many people are still considering 2019. It was an amazing response; we are thrilled." 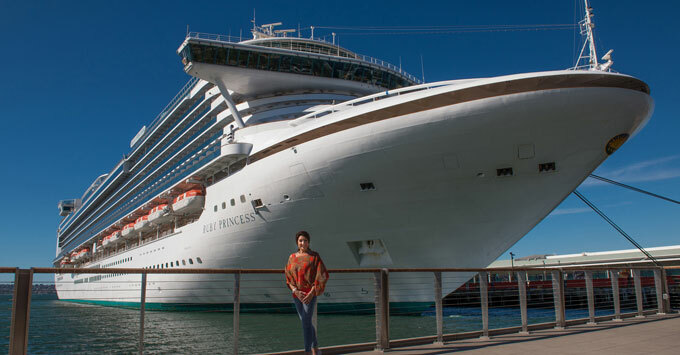 Jane takes a cruise up the West Coast of the United States onboard 3,084-passenger Ruby Princess. She starts in LA and taking in the iconic sights from the Hollywood sign to San Francisco's Golden Gate Bridge. Jane ticks off the typical tourist list -- strolling along Hollywood's Walk of Fame, shopping in Beverley Hills, and people-watching at the beautiful resorts in Santa Monica and Muscle Beach. While onboard the ship, Jane attends a wedding between two of the passengers, competes in a speed-painting competition and signs up for her most unusual spa treatment -- a massage in which her entire body is coated in melted chocolate. Jane takes a round-Iceland cruise, spots whales, marvels at the Northern Lights, takes a dip in a thermal pool, herds sheep, meets the locals and visits a puffin sanctuary, getting up close and personal with her favourite bird on her weeklong cruise. 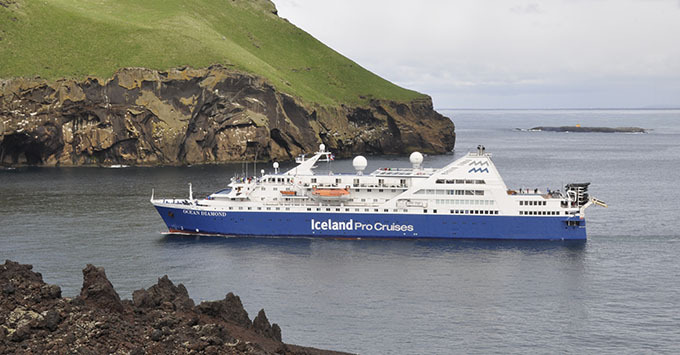 The 189-passenger ship, which is chartered over the winter by Iceland ProTravel, is owned and operated by Quark Expeditions and spends the summer in Antarctica. Jane travels along Asia's Mekong, from Ho Chi Minh City in Vietnam to Prek Kdam in Cambodia, where she tries some savoury new snacks (read: insects), dodges traffic in the busy streets and learns about the troubled history of the area. The 124-passenger AmaDara has a sun deck with swimming pool, the main Mekong Restaurant and The Chef's Table speciality restaurant serving a choice of Western and Asian food. Jane joins the line's "Antebellum South Lower Mississippi cruise" between the historical and musical cities of New Orleans and Memphis, visiting Natchez, Francisville and Oak Alley along the way. During the cruise, Jane visits plantations, learns about slavery and modern poverty, stops at Graceland and meets a real southern belle. American Queen, the world's largest steamboat, was originally built in 1996 for the defunct Delta Queen Steamboat Company before being bought, refurbished and relaunched in 2012 by AQSC. The 436-passenger ship makes its stately way up and down the Mighty Mississippi as far north as the Ohio and Tennessee rivers. Cruises depart from New Orleans, Memphis, St. Louis, St. Paul, Louisville, Nashville and Cincinnati.